I need an easy to use Grout that is suitable for walls and floors. Grout 3000 is a smooth grout with flexible properties ideal for bathrooms, wall and floor, kitchen areas and on tiles over underfloor heating. This grout is easy to clean with mould resistant anti-fungal agents. SKU: TM130P. 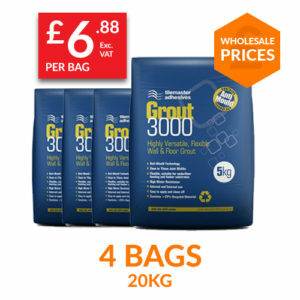 Category: Grout 3000 Pack - 20kg. Feel free to contact us at Trade Monkey by Phone or Email. At Trade Monkey, we supply building products direct to trade at wholesale prices. With orders being shipped out daily direct to sites across the country, Trade Monkey prides itself on high quality service. 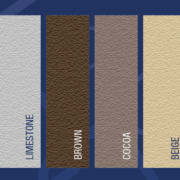 Our brand new 'Mix A Pallet' allows you to order a mix of 50 bags of adhesive, self-levelling and grout 3000 with free delivery throughout the UK. Please enter your email address below to view our wholesale prices.